Why not spoil a friend or family member with a kayaking experience they’ll never forget. 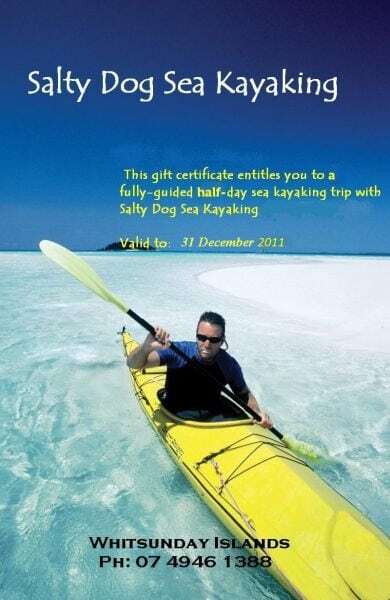 Gift vouchers are available from Salty Dog Sea Kayaking. Kayak Hire is also available, please see our hire page for prices. Send details via email or phone and we will EMAIL an “Authenticated Voucher” which you can print yourself or we can send the voucher via mail.